This entry was posted in News and tagged app, waste. Bookmark the permalink. This entry was posted in Spotlight and tagged case study, recycling, waste. Bookmark the permalink. This entry was posted in Spotlight and tagged Action Carting, Behind the scenes, recycling, waste. Bookmark the permalink. 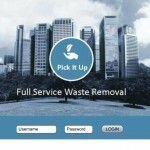 A Better Way to Pay For Solid Waste Management? Here’s an interesting report from the Citizens Budget Commission. 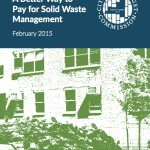 “The report recommends the City of New York charge a variable fee for residential trash removal as an economic incentive to reduce non-recyclable and non-compostable waste and lower taxpayer cost for the service. ” The report raises points for discussion. What do you think? This entry was posted in Great Forest Insights and tagged report, waste. Bookmark the permalink. 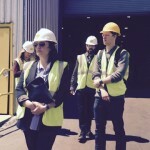 This entry was posted in Great Forest Insights and tagged Insider Knowledge, OTCL, waste. Bookmark the permalink. Earth Hour: What Can Businesses Do? How To Recycle Your Christmas Tree – Have You Heard About BioChar? © 2018. All rights reserved Great Forest. Got a question? Ask the Great Forest experts.